The Lightning Fleet hosts a Spring Regatta the first weekend after Memorial Day each year. Lightning sailors for New England and Canada atten the 2 day regatta sailed in the inner Malletts Bay. An excellent Race Committee and fun after sailing events are the regatta standard. In the fall, usually around the middle of October the fleet hosts the Leef Peeper. Boat traffic is at a minimum and you can usually count on good winds. The Fleet also hosts the Lightning New England Championships. We have hosted several Atlantic Coast Championships as well as the 2001 Lightning North Americans and the 2009 Lighting Worlds. At the worlds boats traveled from South America, Europe and Africa to race on the outer Malletts Bay. 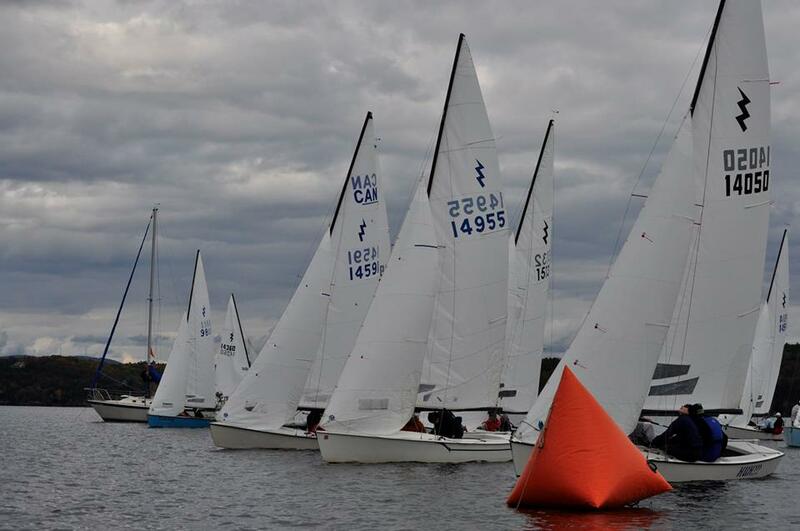 MBBC's major one-design, two-day regatta open to Club and non-Club members. The regatta is open to any class with three of more entries. The class racing for the Chiott Cup is selectd by the Afterguard each year. The Chiott cup was doanted in 1963 by Mr. Clarence Chiott in memory of his father, Edgar Chiott, who was for many years a leading figure in the boating fraternity on Lake Champlain. The Deed of Gift point out the, "... for thiry years Edgar Chiott was Keeper of the Navigation Lights on the Burlington breakwater and that throughout his life he encouraged boating acivities on teh lake." The Chiott Cup was given to "... promote class racign in sailboats on Lake Champlain." An overnight PHRF race that allows crews to race through the evening usually finishing the next morning. The origional 102 mile course took the fleet from Stave Island, south to the Lake Champlain bridge then back north to Point La Roche above Plattsburgh NY. The race was shortened in 2000 to around 60 miles. Held annually sense 1956 the race challenges crews in unique ways. The light winds of mid summer require constant attention in order to keep pase with the fleet. Sunset slowly brings along the need for good night vision and the hope for a full moon. Sunrises are always welcome and offer your first glimpse of where the rest of the fleet has settled. 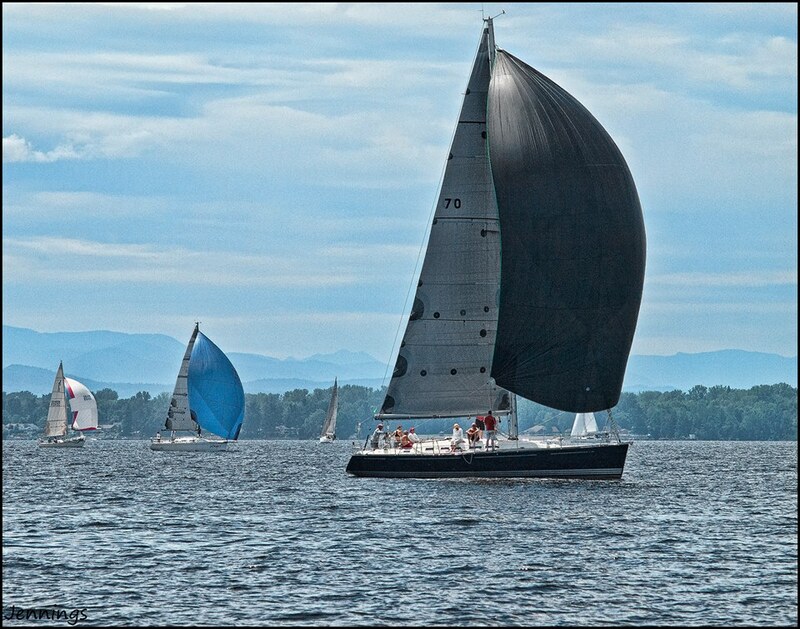 The race is open to any boat with a Lake Champlain PHRF handicap. The Lake Champlain Trophy is a 15-1/2" punch bowl donated in 1956 by Mr. and Mrs. Winthrop Coffin and Mr. and Mrs. George Chase and is awarded to the boat with the lowest correct time over the complete course. This race commemorates the Revolutionary War naval Battle of Valcour which occurred on Friday, October 11, 1776, between an American fleet commanded by Benedict Arnold and a British fleet under the authority of Sir Guy Carleton, though he was not the operational commander. The weather that day was clear with a northerly wind. Snow could be seen on the mountains. The American fleet was anchored across the Valcour Channel from near Bluff Point to the New York shore. There were 500 non-sailors in this fleet. 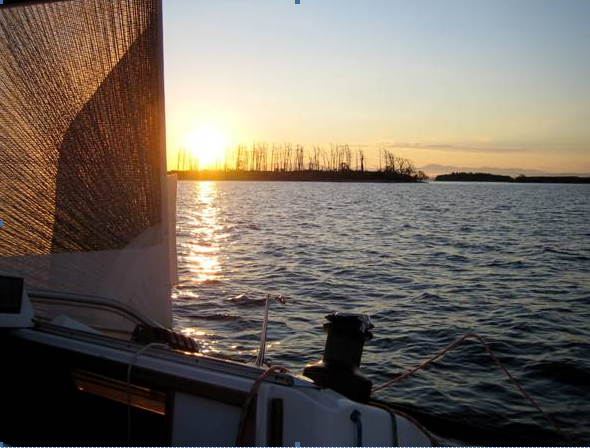 The British fleet, 700 sailors, had passed the eastern shore of Valcour Island the previous day, sailing south. In order to attack the American fleet, the British fleet had proceeded to windward up the Valcour Channel by tacking and rowing. The first British ship was sighted by the Americans at 8 AM. The battle commenced three hours later at 11 AM with the main forces joining battle at 12:30 PM. The battle ended at 5 PM. During the battle Arnold's flag ship "Royal Savage" was badly damaged and driven ashore on Bluff Point where it was abandoned. After the battle the British fleet retired south and anchored in a blocking line with the eastern end of the line near Garden Island. However, during the night Arnold was able to slip away by sailing down the western shore of the Channel. On the following days in their search for the American fleet, it was reported that some British ships fired upon a rock south of Providence Island, thinking it was an American ship. That rock is now named Carleton Prize. 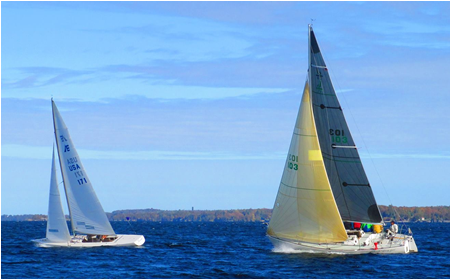 A two-race PHRF event held on Outer Malletts Bay. First held in 1960 it quickly became a part of the Lake Champlain Racing Conference. Boats from Valcour Sailing Club, Lake Champlain Yacht Club and the Royal Savage Yacht Club attend this annual event. Today it is part of the Lake Champlain Championship CannonSeries. The Royal Savage Trophy is one of the most historically significant trophies awarded to sailors on Lake Champlain. The trophy consists of a glass encased relic from the Sloop Royal Savage, the first American Vessel to engage the enemy at the Battle of Valcour on October 11, 1776. The trophy was donated to the Club in 1960 by Mrs. Carlotta Raine in memory of her husband, Paul, who was the first Master of the Club. Ted Brooks Trophy is an eleven inch high champagne cooling mug donated in 1968 by Ted Brooks in memory of his wife Evelyn. The two trohies rotate on a yearly basis between classes. The origional course for the Royal Savage was a 12 to 20 miles often sailed in the Outer Malletts Bay. The Ted Brooks Trophy was origionally awarded to the first boat to finish the Royal Savage Race. This was changed in the early 80's to accomodate the multiple race format.